In a new review of acupuncture research, Australian researchers have found that the quality of evidence and the number of conditions for which acupuncture has been shown to be effective has increased significantly since the last major review published by the US Veterans Affairs Department in 2014. In a project funded by the Australian Acupuncture and Chinese Medicine Association Ltd (AACMA), researcher Dr John McDonald PhD and Stephen Janz reviewed all the systematic reviews of acupuncture published between March 2013, the cut-off date for the US Veterans Affairs ‘Evidence Map of Acupuncture’, and September 2016. A total of 136 systematic reviews, including 27 Cochrane systematic reviews, were included in this review, along with three network meta-analyses, nine reviews of reviews and 20 other reviews. In total over 8,000 randomised controlled trials of acupuncture have now been published and over 1,000 of these were included in the systematic reviews examined. In all, 122 conditions were reviewed. In the Evidence Map of Acupuncture only three conditions reached the highest level of evidence – ‘Evidence of Positive Effect’. However, that number has risen to eight conditions in the new review: allergic rhinitis; chronic low back pain; migraine prevention; chronic tension-type headache; knee osteoarthritis; post-operative nausea and vomiting; post-operative pain; and chemotherapy-induced nausea and vomiting (CINV). A further 38 conditions are now graded as ‘Evidence of Potential Positive Effect’ compared to 20 conditions in the 2014 Evidence Map. There was either low quality evidence or conflicting evidence for 71 more conditions categorised as ‘Unclear/ Insufficient evidence’. Only five conditions were found to have ‘No evidence of effect’. In total positive results were found at various levels of evidence for 117 conditions. It is clear that the research effort in acupuncture is accelerating and that many new conditions are now being studied for the first time. The other emerging trend is that researchers are becoming more specific in their research focus. What was once reviewed as just ‘cancer adverse effects’ has now been separated into a dozen different conditions including cancer pain, cancer-related insomnia, cancer-related fatigue, chemotherapy-induced nausea and vomiting. Where studies on safety or cost-effectiveness of acupuncture were available, these results have been included in the review. Overall, acupuncture was found to safe in the hands of well-trained practitioners, and acupuncture was specifically shown to be safe in treatment of low back pain, migraine, osteoarthritis of the knee, depression, allergic rhinitis, prostatitis pain/chronic pelvic pain syndrome, ambulatory anaesthesia, Alzheimer’s disease and cancer-related psychological symptoms. Studies also showed acupuncture to be cost-effective for low back pain, migraine, headache, chronic pain, neck pain, post-operative nausea and vomiting, osteoarthritis, allergic rhinitis, depression, dysmenorrhoea, ambulatory anaesthesia. Clinical Practice Guidelines for Breast Cancer Treatment published by The National German Gynaecologic Oncology Association’s (Arbeitsgemeinschaft Gynakologische Onkologie) in 2015. This review reflects the current state of evidence from research, but is not a definition of acupuncture’s scope of practice. When research attempts to validate traditional medical practices which have a history of over two millennia, it takes a great deal of time, research effort and funding to fully explore acupuncture’s scope of practice as it is described anecdotally in the historical literature, which includes thousands of clinical acupuncture books dating from the pre-Christian era to the present day. What is clear is that the evidence for the effectiveness, safety and cost-effectiveness of acupuncture is growing rapidly. 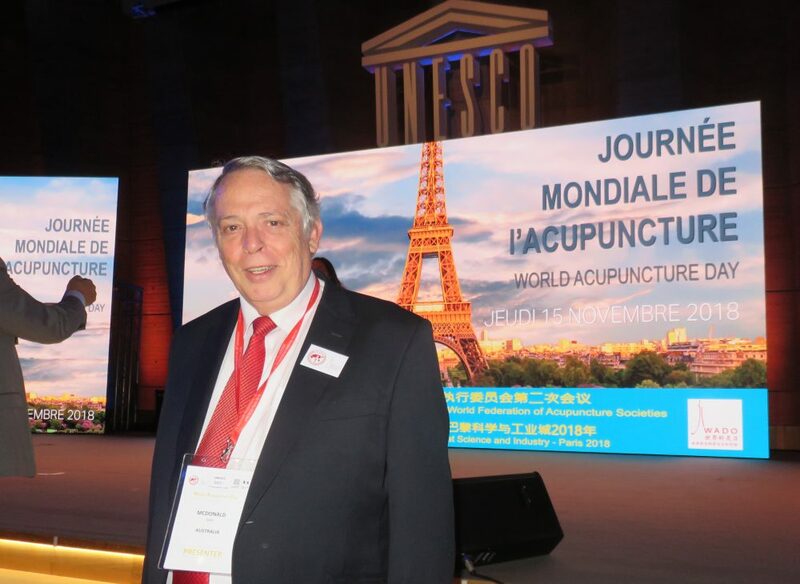 The Acupuncture Evidence Project by Dr John McDonald, PhD and Stephen Janz was commissioned and funded by the Australian Acupuncture and Chinese Medicine Association Ltd (AACMA). A plain language summary and the full document (81 pages) is available from the Australian Acupuncture and Chinese Medicine Association Ltd (AACMA): http://www.acupuncture.org.au.